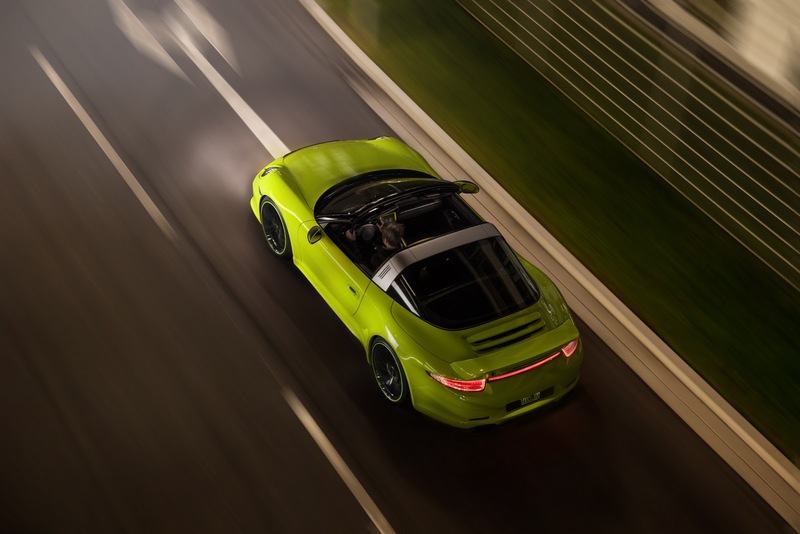 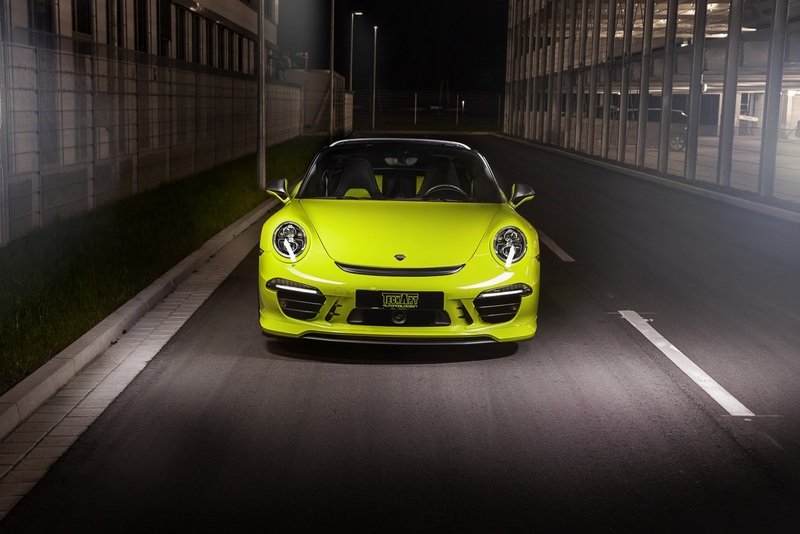 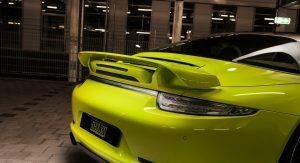 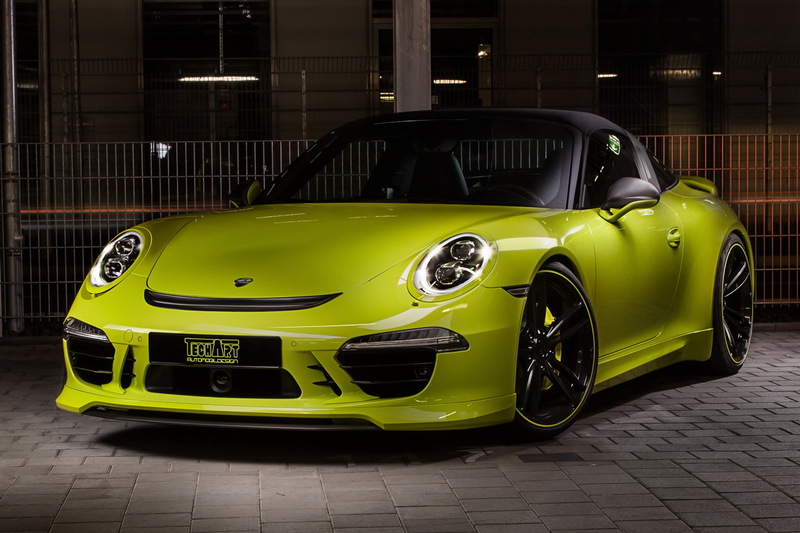 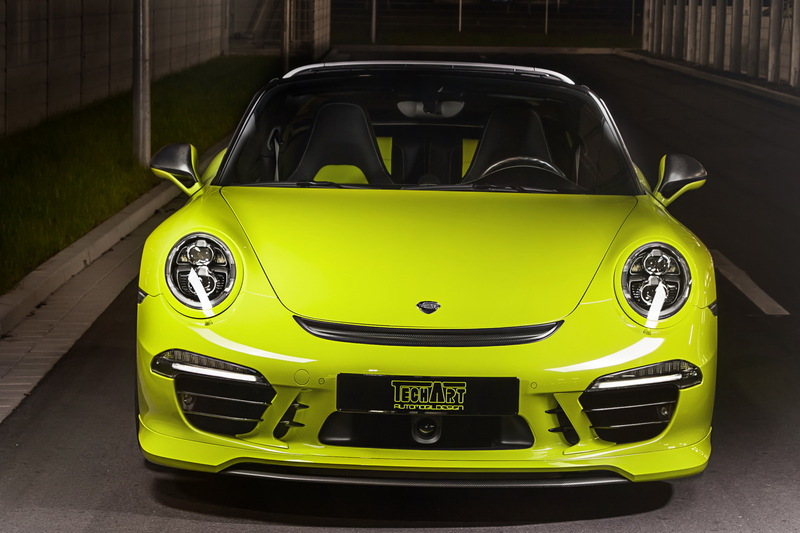 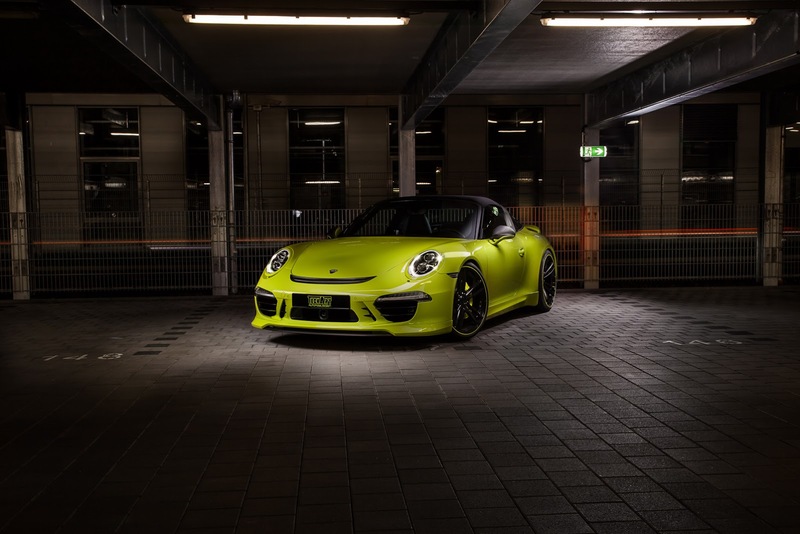 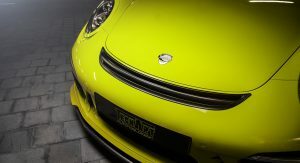 Is TechArt’s Lime-Yellow Porsche 911 Targa 4 Refreshing or Nauseating? 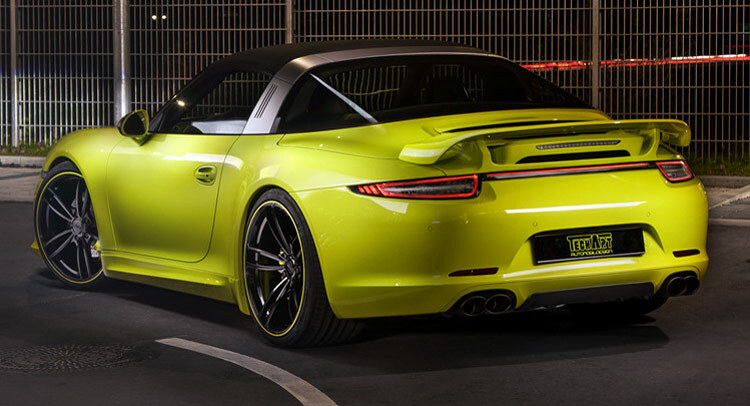 The tuning brains at TechArt have pushed out a host of goods for the Porsche 911 Targa 4, but that’s not what caught our attention with their demonstrator. 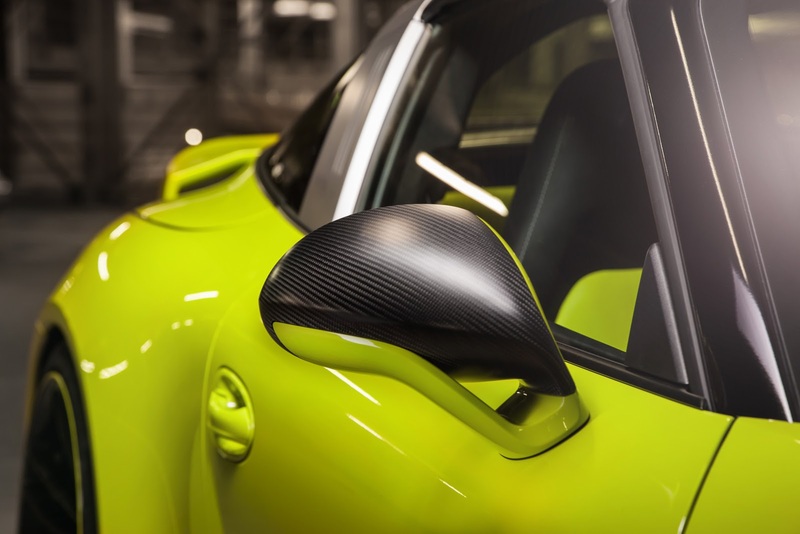 It doesn’t appear on Porsche’s configurator and since it doesn’t look like a foil wrap given as it’s featured on the door and fender interior surfaces, we have to assume it’s from Porsche’s Exclusive arm that offers plenty of individual color choices. 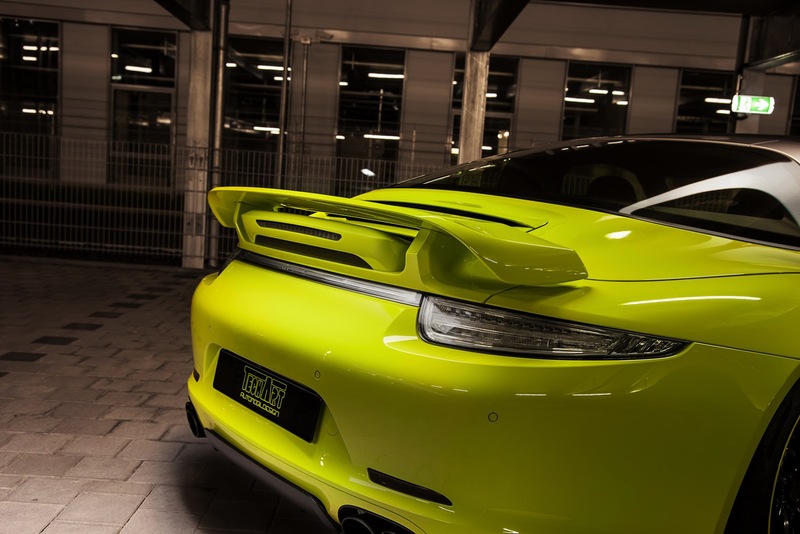 I find it meh on the outside and blah on the inside; you can share your feeling in the comments (with words or pictures…). 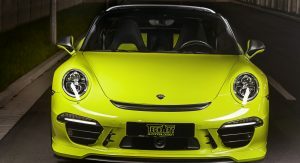 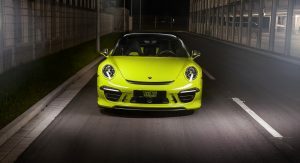 Back to TechArt, the Germans have developed a styling kit made from a lightweight fibre composite of carbon and polyurethane RIM that includes a front spoiler with an integrated splitter, rear spoiler and diffuser, a grille piece, mirror caps, headlamp trims, and side skirts. 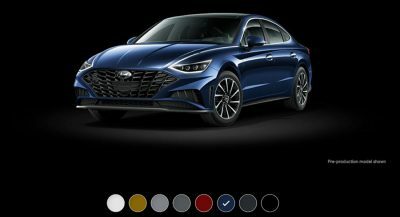 There are two alloy wheel options in 20- and 21-inch sizes, offered in stock or various individual colors. 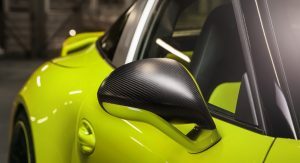 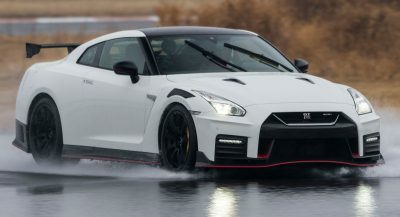 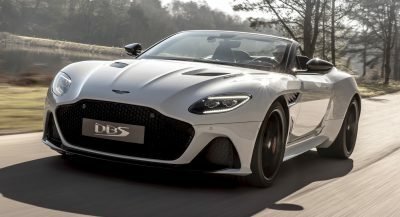 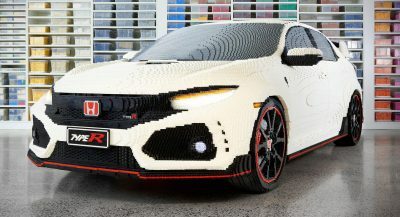 For the cabin, choices include customized leather surfaces, a three-spoke sports steering wheel with or without paddle shifters, aluminum pedals and gear knob, carbon fiber trim accents and modified instrument panel gauges. 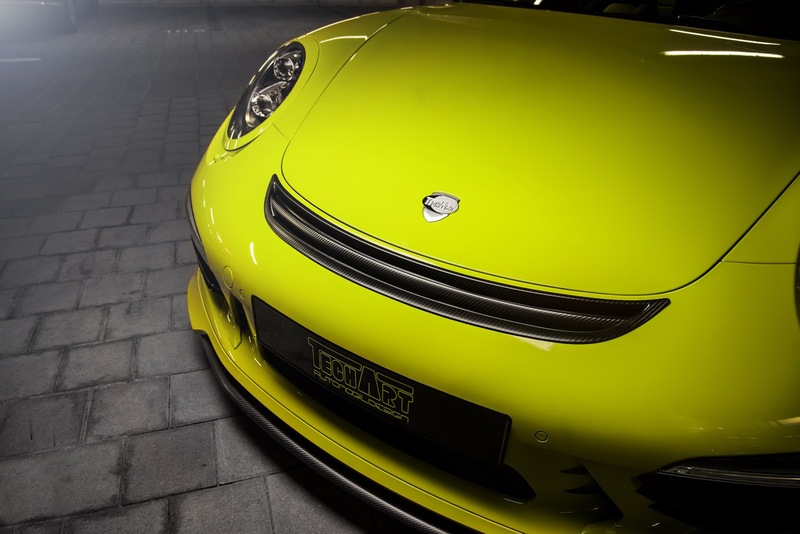 A new Noselift System that gives an additional 45mm of ground clearance (approx. 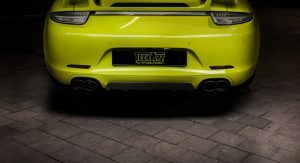 65 mm at front splitter) at the touch of a button and at speeds of up to 60km/h (37 mph), together with a valve-controlled sports exhaust system, round out TechArt’s offerings. 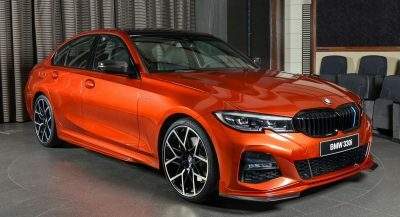 Next PostNext Is 1991 BMW Alpina B10 3.5/1 from Canada Worth $28k?